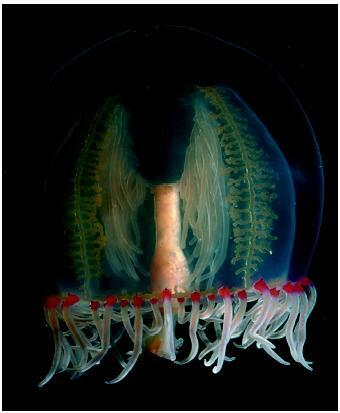 A jellyfish is a radially symmetric animal with internal organs that are visible through its transparent, gelatinous body. their adult form. A familiar example is the metamorphosis of a tadpole into a frog.